Adidas has applied the “Impossible is Nothing” campaign to the cricket scene in India, in an advertising campaign featuring young Indian cricketers Sandeep Sharma, Gaurav Jathar and Sahil Kukreja. Launched in March 2010, the TV, print, outdoor, PR, digital (www.adidas.com/cricket), and grassroots events campaign has served as a useful connection with the fervour associated with the 2011 ICC Cricket World Cup being held in India, Bangladesh and Sri Lanka. 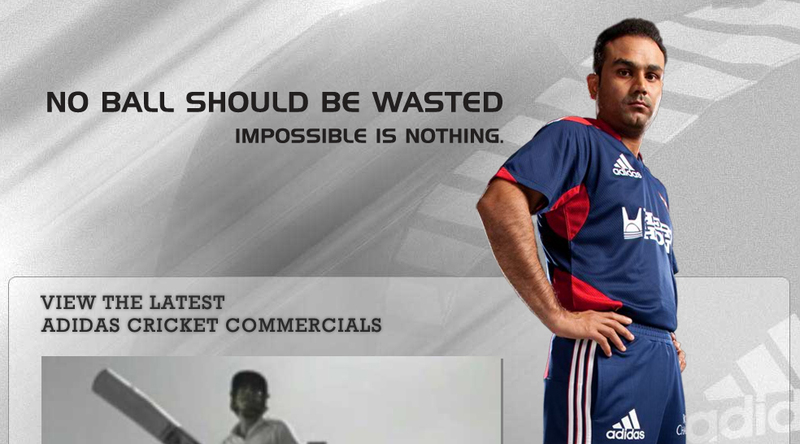 The Cricket Impossible is Nothing campaign was developed at Ogilvy & Mather, Mumbai. Filming was shot at Patil Stadium by director Prasoon Pandey via Corcoise Films, Mumbai, with producer Cyris Pagdiwala.